GRU College of Education students presented a series of research projects at the 2014 GRU Graduate Research Day on March 20. Click here to see photos from the event. The event featured Dr. Andrew V. Schally, a renowned endocrinologist who won the 1977 Nobel Prize in Physiology or Medicine, as the keynote speaker. The event also included oral research presentations by postdoctoral fellows and poster presentations by fellows, medical residents and graduate students. 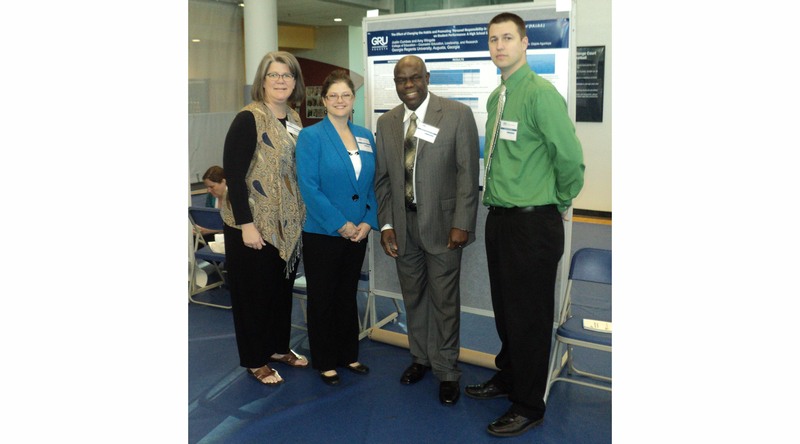 Education students presented their research on student and professional development, as well as practitioner outlook. The event gave students a chance to sharpen their presentation skills before exhibiting their work at national meetings and conferences; and to receive constructive feedback about their work. Presentations are judged by faculty.